Recalling his early life as a young cowboy, sixty-two-year-old Madison Carter remembers his first love: her name was Estrella O’Sullivan, and he met her the summer he turned sixteen back in 1873. The summer of 1873 marked Madison’s last drive up what is now called the Chisholm Trail. It was the first time he tasted oysters and the only time he pinned on a badge. 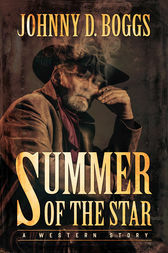 It was the summer of longhorns, miserable heat, friendship and betrayal, and murder. In the end it was the summer the whole world came crumbling down on the United States, and Madison’s world crashed too. The summer of 1873 was the year Madison watched a bunch of men die. One of them was a man he killed, an encounter one never forgets.